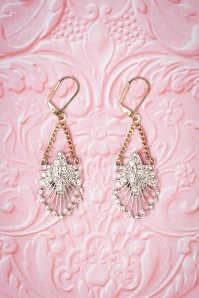 Think romance, think flowers... and think pink! 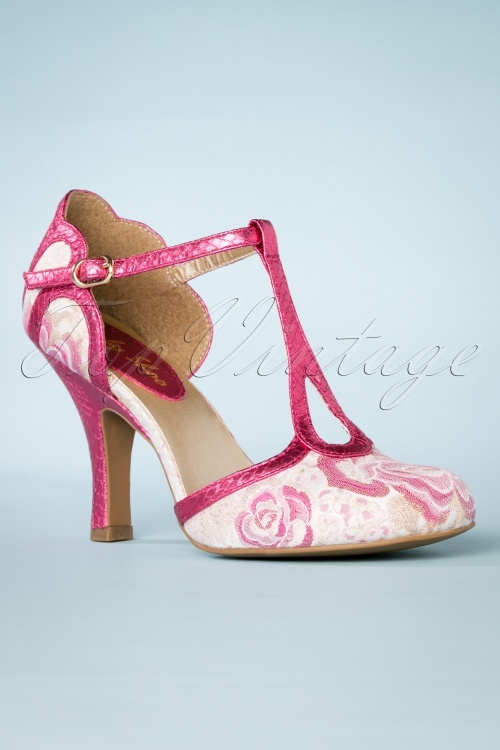 These 50s Polly T-strap Pumps in Fuchsia are made of an ivory white fabric with a stunning brocade floral print in fuchsia pink and finished with gold toned lurex and shiny faux snake trims for a glamorous touch! The look is completed by the high, elegant heel and the T-strap with drop-shaped cutouts. 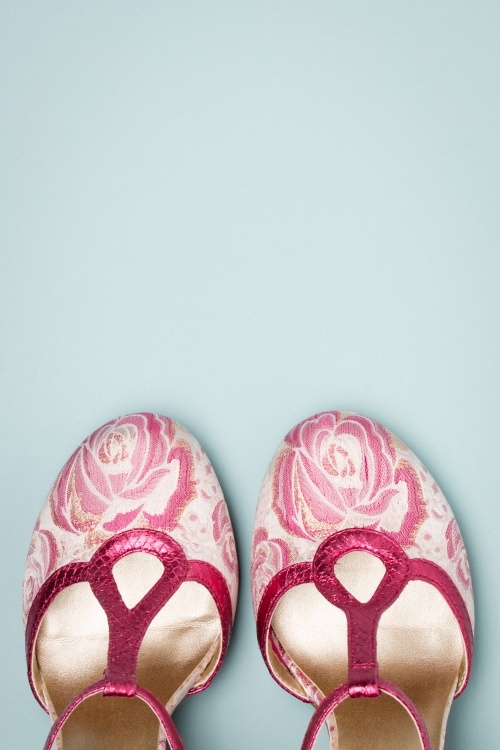 Besides the fact that they look great, the soft insole also ensures a comfy fit. Romance isn't dead, just look at these shoes! Ein bisschen „pinker“ und glitzernder als ich sie erwartet hätte, trotzdem so unglaublich hübsch, dass ich sie behalten habe. Vor allem aber: unglaublich bequem für diese Schuhform.